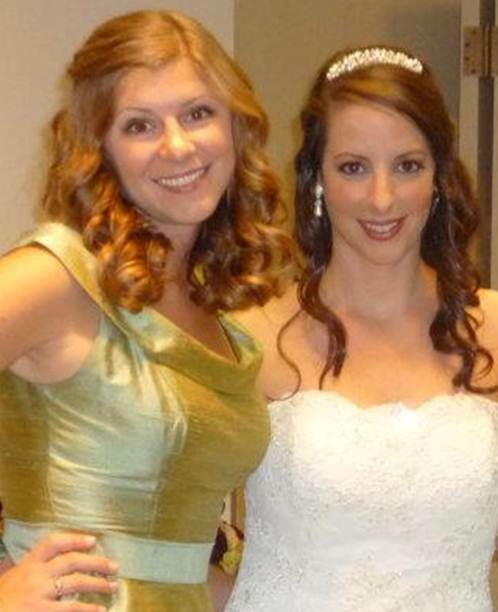 This week is a very exciting week – because my friend Erin is getting married on Saturday! 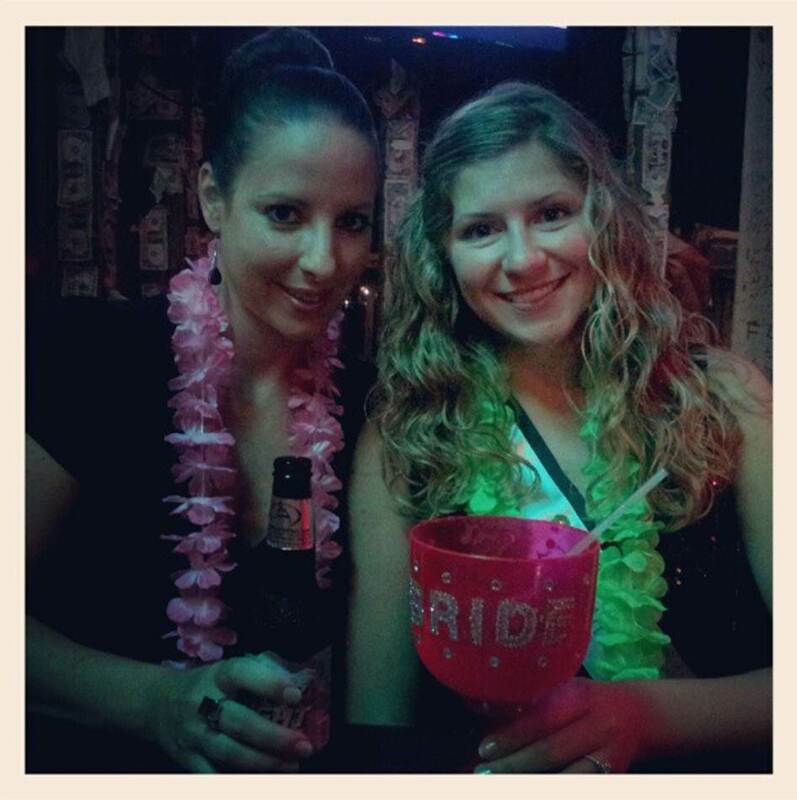 So, I’d like to dedicate a special blog to my Punk for her wedding week! Now, Erin and I go way back. Actually, our dads introduced us! It was move in day at Penn State in 2001 and I was a shy little freshman. So awkward introduction, special circumstances (roommates be crazy!) and social interaction (Captain Morgan in particular) broke the barrier of awkwardness, and we became “Punks” – which I honestly don’t even know the origin of other than me randomly calling her that one day in jest as we were crossing paths in the bathroom of Bigler Hall. Through trips to St. Lucia, St. Martin, Destin, Memphis, Pittsburgh and lots of football and lake house weekends together, we have remained close friends and I am so thankful for that. 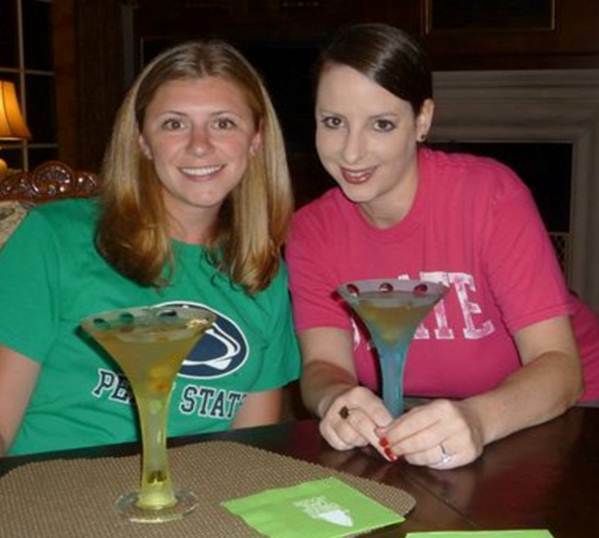 She is one of the kindest, most genuine people that I know – and it doesn’t hurt that we have a ton in common, such as loving dirty martinis, all things artichoke-olives, Penn State football, the Pittsburgh Steelers (she’s the one who converted me! ), glasses of wine, beaches, good books, and great conversations. I was honored to have her by my side on my wedding day and I am so excited to be able to do the same for her! I am so happy for her and Jason and what they have to look forward to as Mr. & Mrs. and I know she is going to be an absolutely stunning bride on Saturday! Well, last month we had Erin’s bachelorette weekend in Destin, Florida and I thought it would be fun to do a little shower portion and use the “50 Shades of Grey” trilogy as a theme because she loved the books. 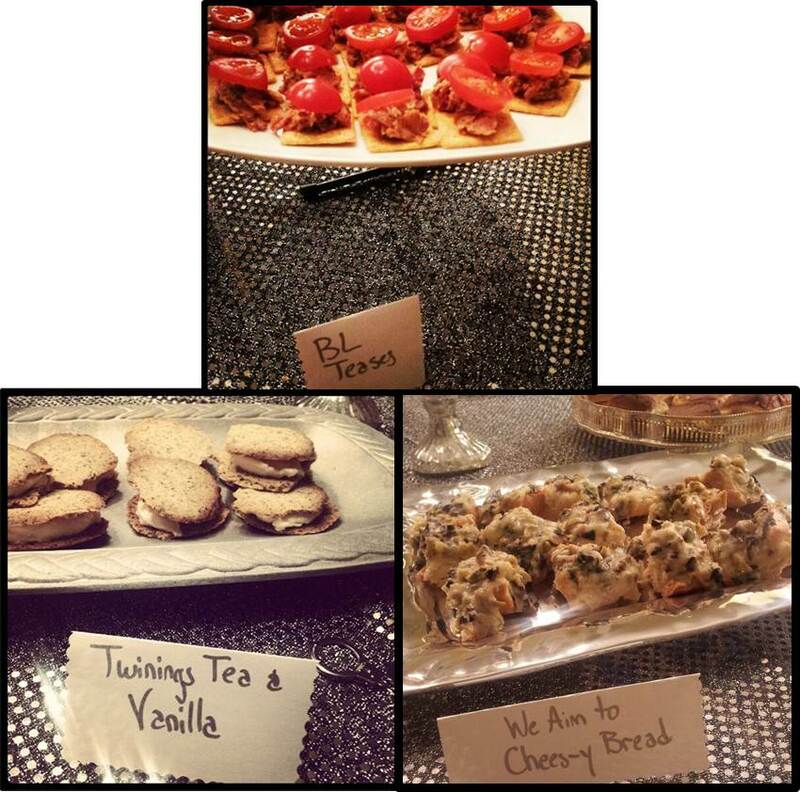 Don’t be scared – nothing too over-the-top, but I did have fun coming up with foods and decor for the shower! If you haven’t read the books – you probably won’t get some of the references, BUT I promise you it was all delicious and lasted us for two meals and some snacks! 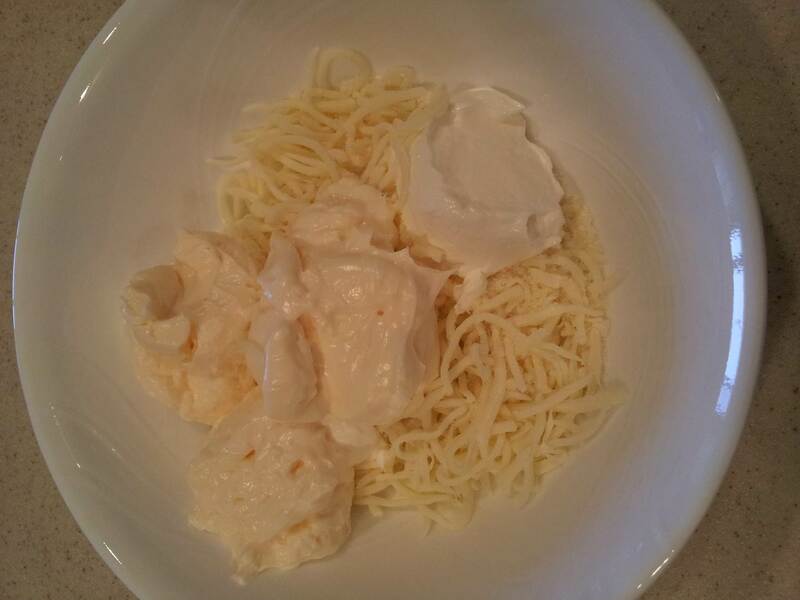 FYI – I was not at my own grocery store so I couldn’t find a lot of the fat-free loot – but if you use reduced-fat Parmesan and fat-free mozzarella, mayo and sour cream, the total WW Points for this dip (minus and chips, crackers, etc.) is 16. 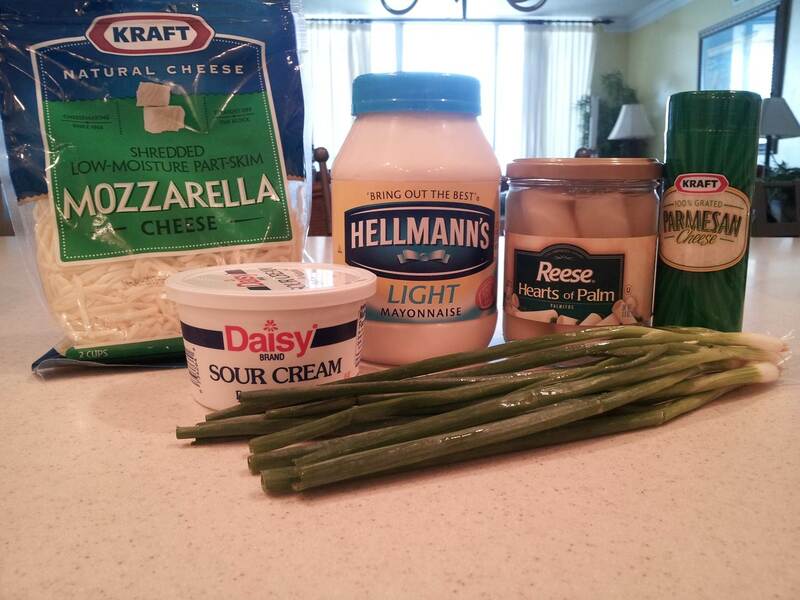 In a medium bowl, add your mayonnaise, sour cream, mozzarella and Parmesan. 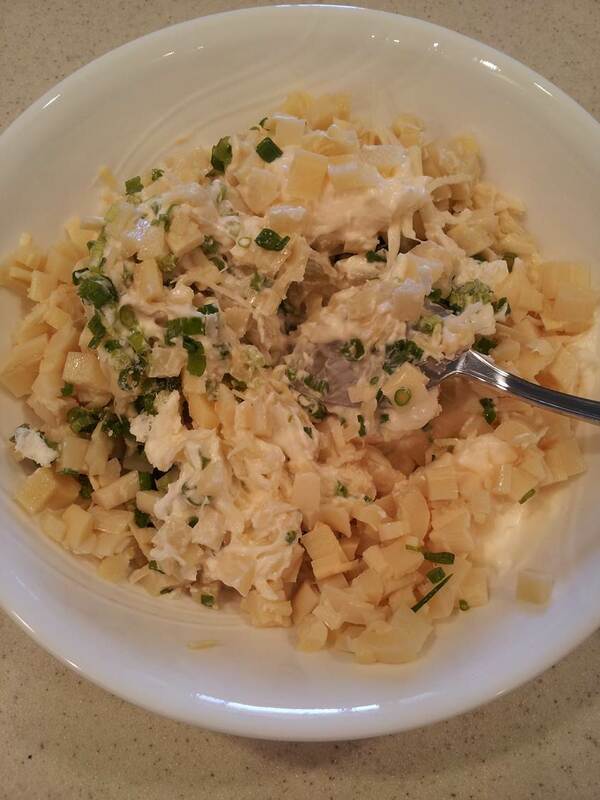 Chop up hearts of palm into bite-sized pieces. Add to bowl with green onion, salt and pepper. Mix well and add to a medium baking dish. Bake at 350 for 20-25 minutes until lightly browned and bubbly. 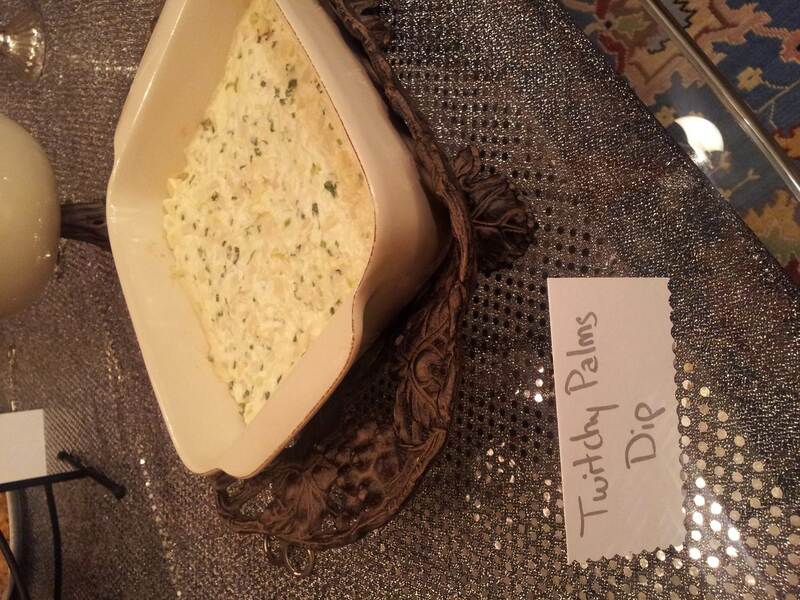 Serve with crackers or pita chips! 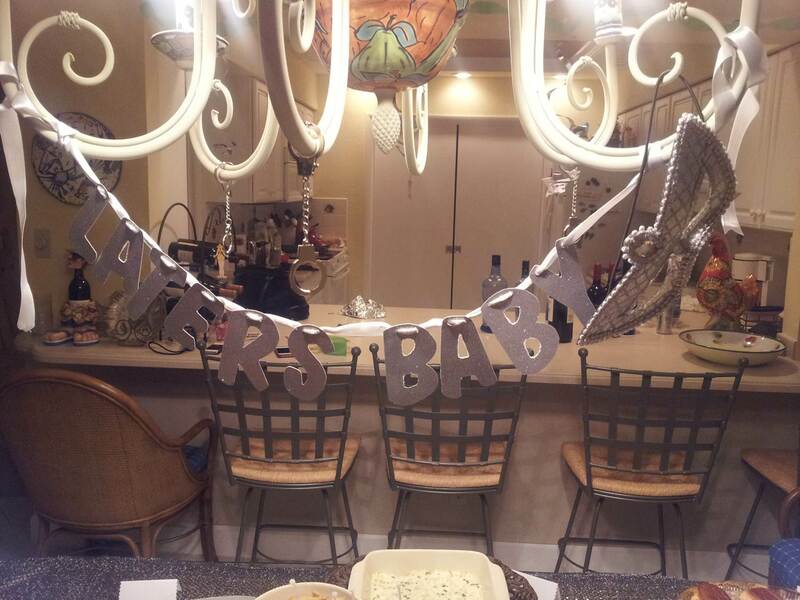 I decorated the table with a sparkly piece of fabric and used some mini handcuffs to lay on the table and hang from the chandelier, along with a “Laters, Baby” sign and a silver masquerade mask. Accompanying the “Twitchy Palms Dip” were “BL-Teasers”, “Inner Goddess Sandwiches”, “Bow Tied-Up Pasta Salad” (I just used bow tie pasta for my buffalo chicken pasta salad), “Mr. Mercurial Crabby Bites” and “We Aim to Cheese-y Olive Bread.” I also whipped up some semi-homemade ice cream sandwiches where I made cookies using ground up Twinings English Breakfast Tea (a favorite of the main character) and vanilla Haagen Daas ice cream. To wash it all down, we had a delicious specialty cocktail that we sipped on while the bride-to-be opened her shower gifts! I’ll be sure to share that on Friday so we can all toast to the bride and groom – cheers y’all!